This property is going to auction Wednesday, April 24, 2019 at 1:00 p.m. Listed price is a starting bid only, and is not indicative of final sales price. 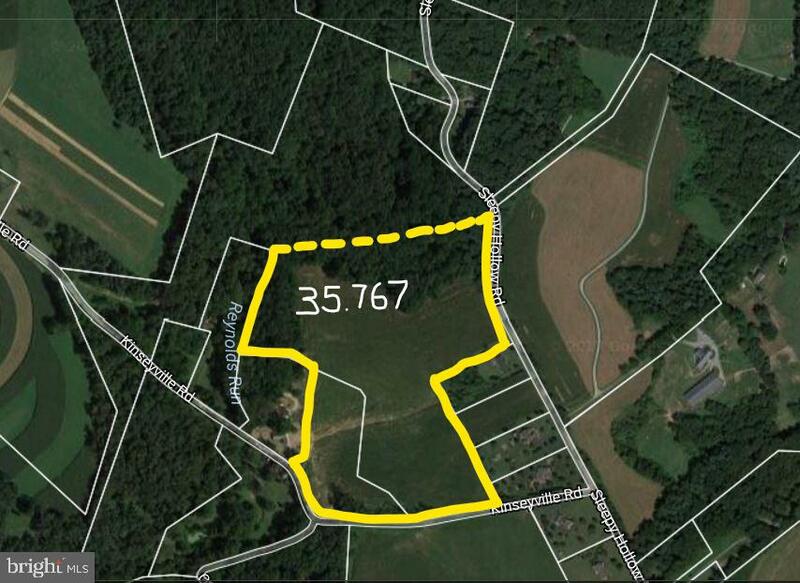 35.767 acres, mostly tillable and pasture acreage, with some woods. Varying terrain. Great home sites to choose from. Design your own farm. Subject to an Ag Preservation Easement with Lancaster Farming Trust. Many possibilities. This is a combination of 2 parcels. Tax ID#3804127600000 and part of #3804981200000. Taxes are estimated from Act 319 Clean & Green assessments. Subdivision has been recorded. Frontage on Sleepy Hollow and Kinseyville Roads, with driveway access from Sleepy Hollow Road. Annual taxes $1,300.00 +/-. Down payment of $30,000.00 required day of auction. Settlement on or before June 20, 2019. Transfer taxes to be paid by buyer. Real Estate taxes shall be prorated.Each parcel allows the construction of a home as well as additional outbuildings or barns. Seller motivated to sell.